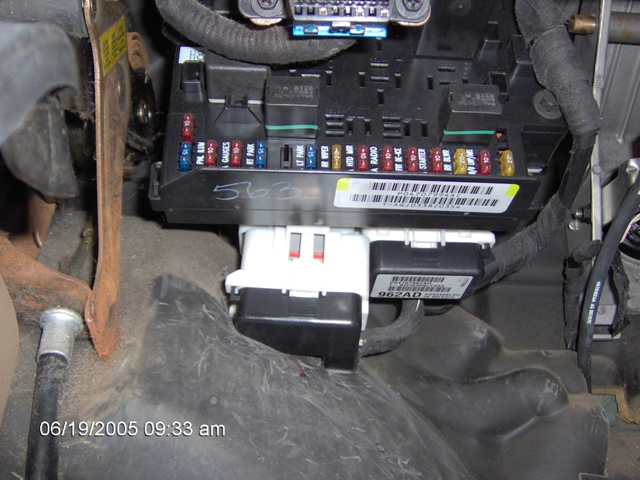 NOTE *1 The PARKING LIGHTS on this vehicle are a (-)Negative type and will require an extra Relay Part #775, to connect, See DIAGRAM. 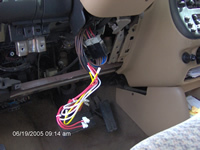 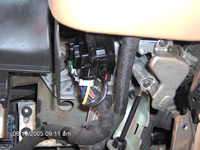 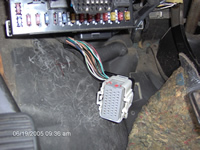 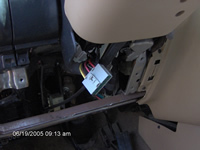 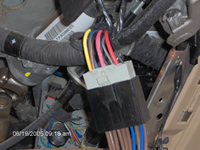 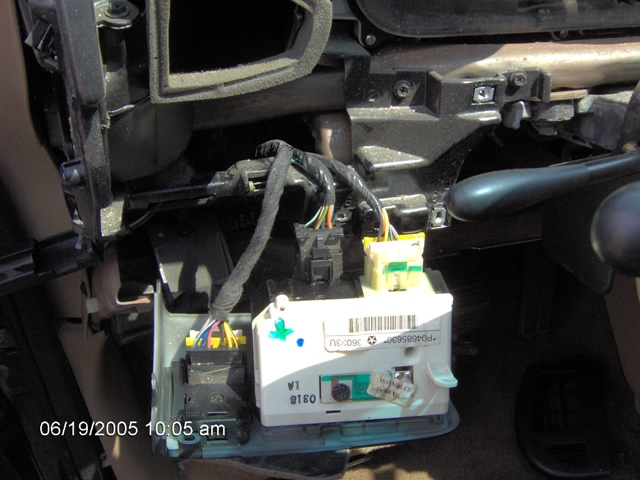 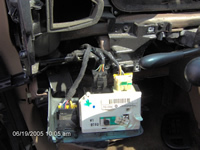 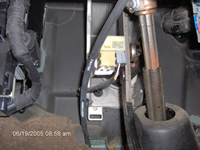 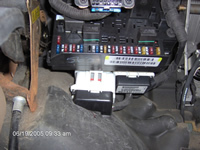 You can find a (+)Positive Parking Light wire at the Marker Lights out under the hood and make the connection there without adding the extra relay Part #775. NOTE *3 you will need to UNLOCK THE VEHICLE, before Remote Starting to keep the Factory Security from sounding the horn, to connect, See DIAGRAM. 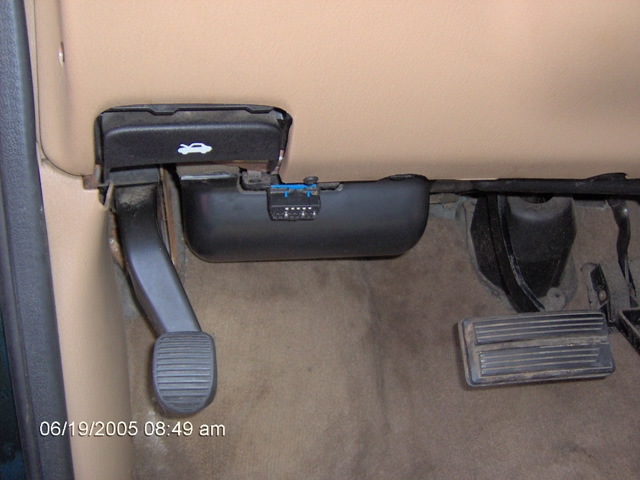 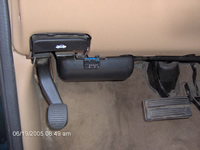 This pictures shows the BOTTOM HALF of the DRIVERS DASH. 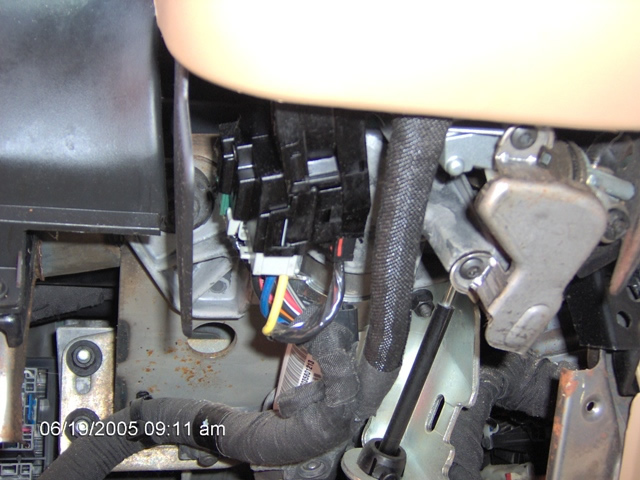 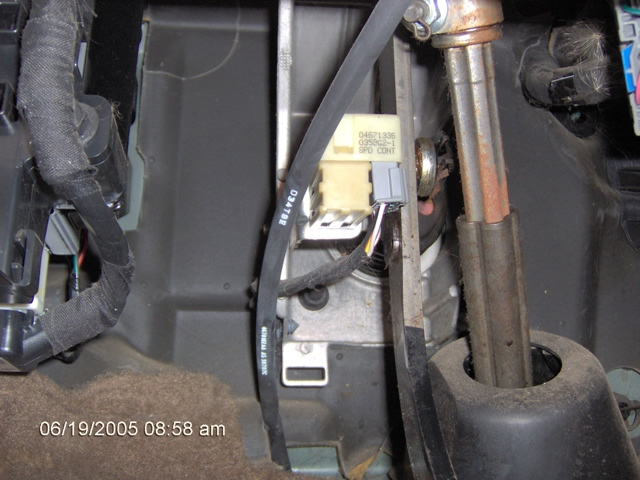 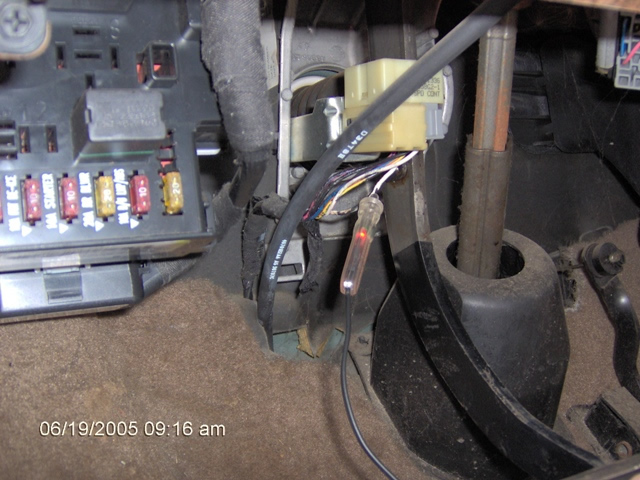 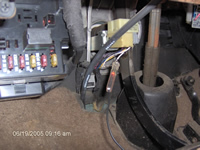 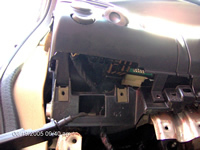 Under the dash and behind that BLACK hump is located the BCM/FUSEBOX, the Plug that contains the POWER DOOR LOCK/UNLOCK wire will be in Plug #1 that plug is the plug on the lefthand side of the BCM.